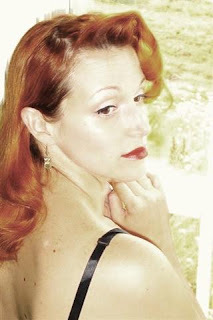 This week's featured artist is Ashley of Lisa Freemont Street, a friend and a naturally gifted beauty extraordinaire! 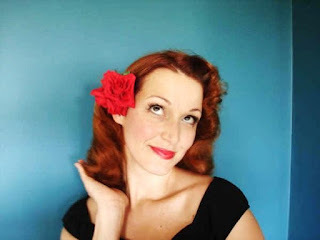 In Ashley's words: "I am a glamour girl, a huge fan of classic cinema and rockabilly culture. " 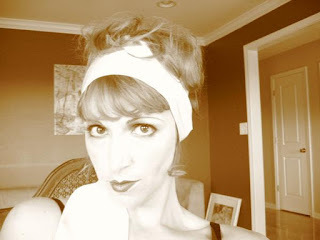 An expert on vintage style, Ashley's YouTube channel is packed with videos on vintage hairstyling techniques and makeup tutorials... I've been watching for a while now and learned a lot! She also has product reviews on her YouTube channel, great for getting insight on products you may have wanted to try. Check out this "Psychobilly" look! 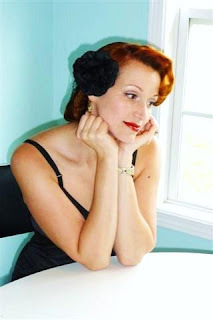 You can find Lisa Freemont Street on her Myspace page, Youtube Channel, blog (The Lisa Freemont Pages) and also watch for her column with Vintage Life Nostalgia Magazine! Aww, darling! How sweet you are. I am sure the Vintage Life crew will be extra pleased as well! I'll be doing an Etsy post on my blog soon and you can bet you'll be there! Thanks sweetie! Your work MUST be seen... I'm excited about your first column in the Vintage magazine!